Learn to wet felt this super cute clutch. You will have two styles to choose from and many color options. Use wool from a local farm to make our creations. 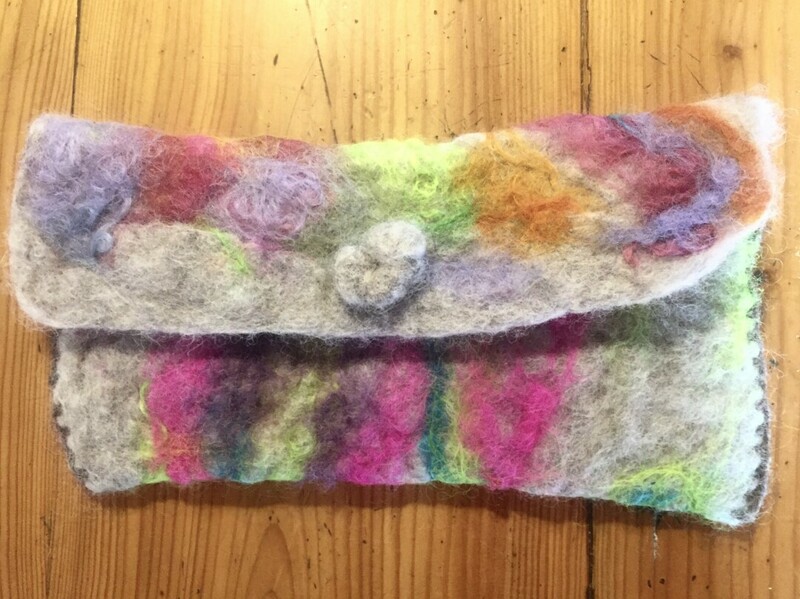 Use the knowledge gained in this class to make other wet felted projects such as scarves and purses. Pre-registration is required.